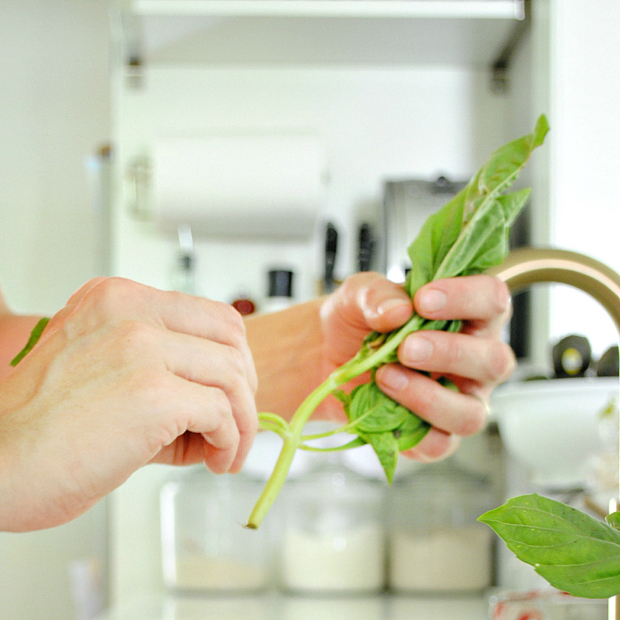 Fresh basil is one of my favorite flavors to add to foods – it’s one of those herbs that tastes very, very different fresh than dried. But until recently I only really used it in the summer when I could grow it outdoors because it would start to turn brown and moldy after just a day or two when I bought it at the store. This year, however, we’re gearing up to build a Trex deck off the back of our house, where I usually plant herbs, so I’m stuck buying herbs from the grocery store. I finally figured out the secret to preserving fresh basil, though! 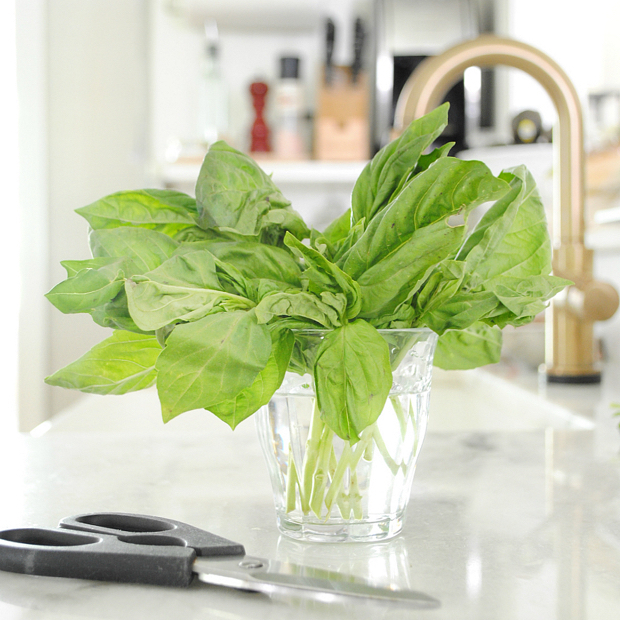 Read on for the simple steps for how to keep basil fresh for weeks. 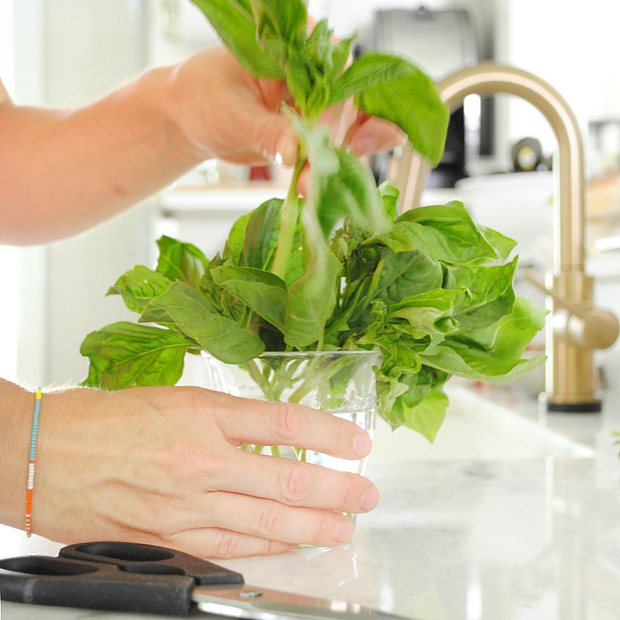 Step One – open the container and remove all the basil stems. Pull off any offshoot stems close to the bottom of the main stem. 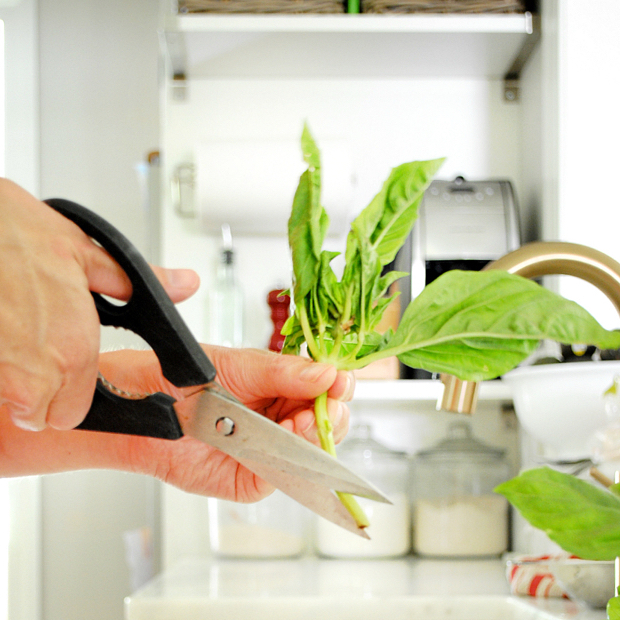 Step Two – use sharp scissors to cut the bottom of the stem at an angle, like you would with cut flowers. Step Three – Fill a small vase or glass with water and place the cut stems so they rest in the water. Make sure there aren’t any leaves in the water or they’ll start to rot. The glass doesn’t have to sit in a sunny window, but it can. I keep mine on a little ledge above the counter where I usually prep food and it keeps fresh for weeks. Seriously, weeks. After a little while the stems will start to get roots but the basil leaves stay green and vibrant. Give it a try – it only takes a few minutes to prepare this way and it makes a huge difference! 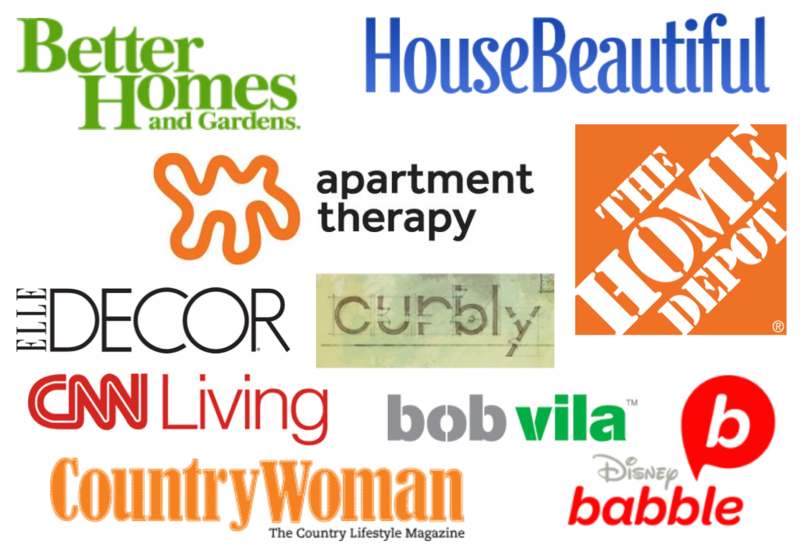 I'm a design and DIY lover, decorator, modern home-maker, foodie, fashion enthusiast, and jill-of-all-trades when it comes to home improvement. I'm slowly but surely adding classic-contemporary style to my early 90's colonial home one inch at a time and I'm taking you along for the ride. 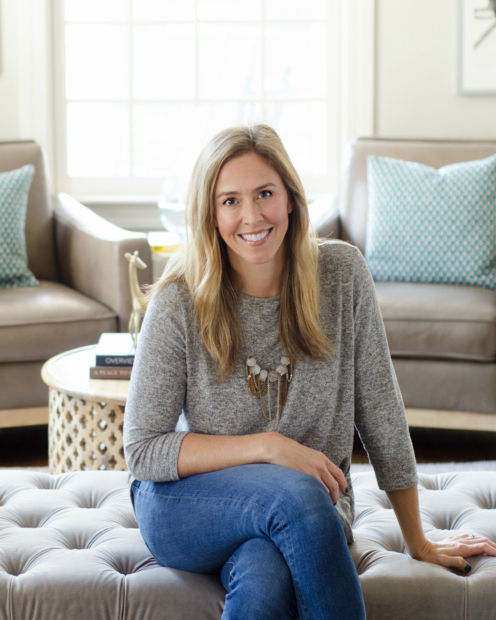 It's often messy - there are usually project remnants and toys strewn about - but the making of a home isn't always tidy work and I love showing you how you can make and style and organize your way to a home and a life you love!